Dr. Were L.L. Munyendo (Ph.D.) is an Assistant Professor of Pharmaceutics at the School of Pharmacy & Health Sciences, United States International University – Africa Dr. Munyendo earned his PhD. in Pharmaceutics at China Pharmaceuticals University, Nanjing PRC. in the year 2013. All along he has been involved in Natural Products Research with enthusiasm of exploring Phytochemicals and Mycochemicals as Active Pharmaceutical Ingredients. Through various Research grants he has won from World Bank Group, Campus France (PHC) program and the VLIR-OUS Flemish Interuniversity Council he is actively researching and well published in peer refereed journals. He is a supervisor of a PhD thesis and 5 MSc theses, as at the moment he has supervised to graduation over 6 M.Sc. students and several Undergraduates. 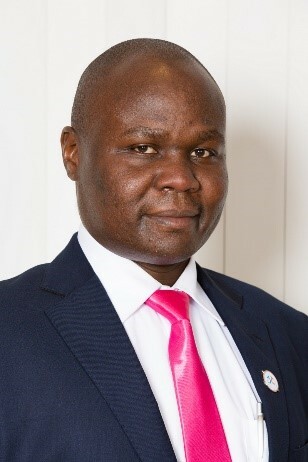 At the university level he has held administrative offices including Coordinator for Postgraduate Studies and currently Dr. Munyendo is the Chairman, Department of Industrial & Analytical Pharmacy. Zhen-Hai Zhang, Xiao-Pan Wang, Were L.L. Munyendo, Hui-Xia Lv, Jian-Ping Zhou 2013. Studies on Lactoferrin Nanoparticles of Gambogic Acid, for Oral Delivery, Drug Delivery. 20(2):86-93.